Around this time of year, your kitchen never sleeps. At seemingly all hours, the oven is busy baking, the stovetop is simmering, and everything is cooking to its eventual perfection! As usual, leftover food is plentiful with all the holiday cooking of tasty feasts and treats. Sharing the joy is easier when you have a sturdy to-go method, and Mat-Pac is here to help with our food storage containers! At Mat-Pac, we never stop looking for ways to improve your quality of life. Typically, people love to give away leftovers, and food storage containers are an excellent way to give away those extra meals and sweets! Lucky for you, we’ve added a special product to help you share the memories. The clear Plastic Portion food storage containers are the perfect way to share savory soups and stews in a snap. 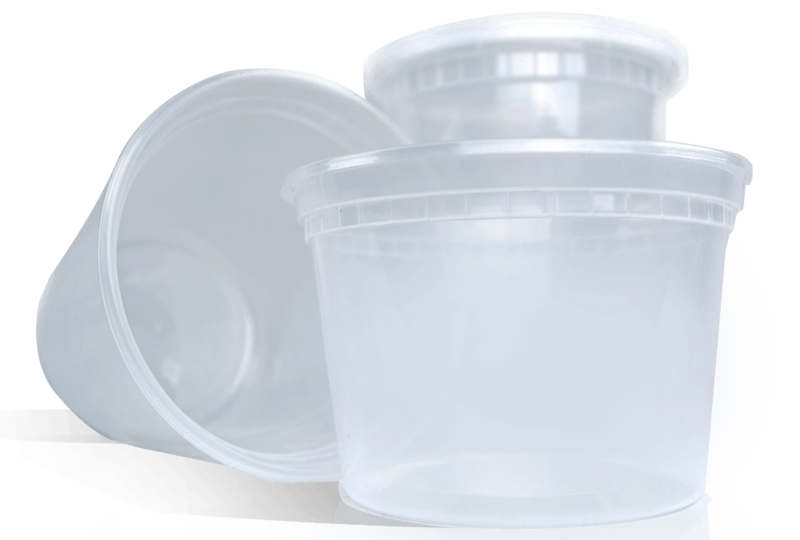 Our heavy duty and deli polypropylene plastic (PP) containers are clear so that when you open the fridge for a late night snack, you can easily spot those amazing mashed potatoes waiting for you. This product also lasts for multiple uses thanks to its PP material. You can use it for sauces, soups, pasta, nuts, and more! Thanks to the PP container’s durable feature, it functions as a carrier for any food product, be it hot or cold, and they are good for multiple uses. Additionally, our PP containers are comparable to their more expensive counterpart, the PET container, due to the high quality of the plastic used. With the season’s savory merriment just around the corner, we are on your side to help organize, pack, and store all the tasty goodies you need preserved. Not only can Mat-Pac can ship these containers, we can also provide Plenty towels and Panda bathroom tissues. This way you can be well-prepared for the holiday barrage of family, friends, and delicious food inevitably coming!